Music is a big part of childhood — from parents singing lullabies to infants to a toddler banging on a toy drum to a teen buying his first electric guitar. Music can soothe, entertain and also teach. From birth through age six are the critical years for learning, and that learning also includes music. During this time, children learn mostly through play and by incorporating musical elements into their play, kids will have a more solid foundation for musical growth and aptitude in the future. 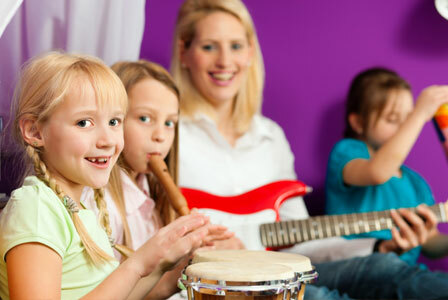 Music also plays a hand in gross motors and language development due to rhythm and movement. Additionally, research shows that music stimulates the part of the brain that is related to math, reading and emotional development. It’s no wonder that all the electronic learning toys these days incorporate music. Unfortunately, with pressures to cut the budget in schools around the country, some of the early funding victims are the schools’ music and art programs. March has been designated by the National Association of Music Education as Music in Our Schools Month (MIOSM). Visit their website at menc.org to find out more about how to get involved to make sure your kids have access to a comprehensive music education in school. Many decision-makers don’t see the benefit of music to the children or the schools because music programs don’t bring in the big sponsorship dollars associated with sports. However, music does has a positive influence on children and parents should continue to advocate for funding of music programs in their schools. Music does more than entertain kids, it helps improve their learning abilities, memory and social skills. It can build confidence, teach disciple and patience, and foster creativity. From the time children are born (and even before), surround them with the beautiful sounds of music to help develop their appreciation from a young age. When kids are little, you don’t need to spend a fortune on expensive musical instruments — a pot and a wooden spoon makes a fun, makeshift drum for a toddler. 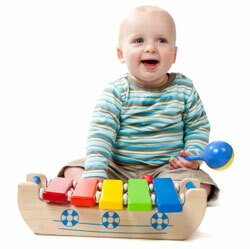 Wooden xylophones, toy pianos and other instruments for wee ones are also inexpensive. Play music in your home and car on a daily basis, and choose a selection from a variety of genres. Encourage your kids to get up and dance and play along with the music themselves. As children get older, take them to live music events as often as possible. And if they develop a keen interest, consider investing in music lessons. If your school’s musical program is still intact, that’s a great way to get them started at an early age without spending a small fortune.